Leg drops are an excellent workout for abdominal muscles. Seated sprinter helps get rid of love handles. Single leg reverse crunch makes your abdominals strong. Belly fat is unattractive! 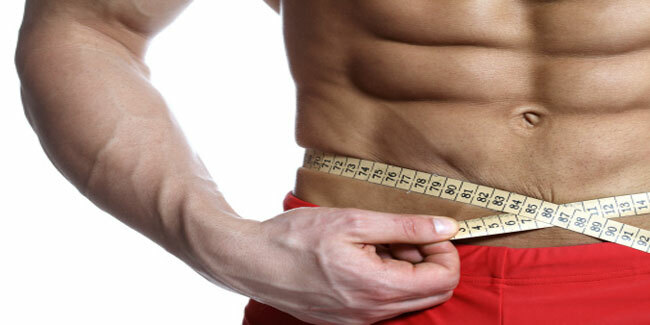 Fat around the midsection is one of the biggest concerns for many of us. To shrink that fatty abdomen or to keep the weight off, doing these movements for just 6 minutes can help. Here’s a 6-minute abs workout that maximizes your fat loss and tones the muscles beneath to give you a flat stomach. The 6-minute workout for abs requires a total of 6 exercises, in 2 sets of 3 minutes each. Leg drops are well-known to make thighs leaner and toned, but also give an excellent workout to the abdominals. Raise both legs towards the ceiling. Keep them straight and slowly lower them without bending at the knee. You may bend very slightly if you are a beginner. When you bring your heel down to the floor, do not allow it to touch the ground. Keep it 2-3 inches above the ground and raise your legs upward like you did in the beginning. Repeat the movement for 30 seconds. Single leg reverse crunch makes your abdominal muscles strong without putting much strain on your back and neck like conventional crunch does. Lie on your back with your legs straight out. Bring your right leg towards your torso and push it away like you would when you pedal a cycle in reverse. Switch legs after 3-4 reps or move legs alternatively for 30 seconds. Lie flat on your back with your legs extended flat out. Pick the medicine ball from overhead with outstretched hands and place it on your feet after bending the knee and bringing it closer to your chest. Pass the ball back to the hands and overhead. That’s one rep. Repeat the move for 30 seconds. Sit-up straight with your spine upright and legs extended. The elbows should be bent around 90 degrees and the hands must be let loose. Begin to slowly swing the arms from the shoulders and legs, like you would when you are sprinting. Maintain proper form in the torso and legs for 30 seconds. Get into the push-up position. Now, lift your right leg, bring it towards your abdomen and twist the leg inwards (towards the left leg). Return to the initial position and switch legs. Lie on your back with legs in the air. Extend your hand overhead. Now, contract your abs and bring hands up in a controlled motion towards the knee. Simultaneously, bend your knees bringing them closer to your chest. In this movement, you are basically doing two crunches in one movement.